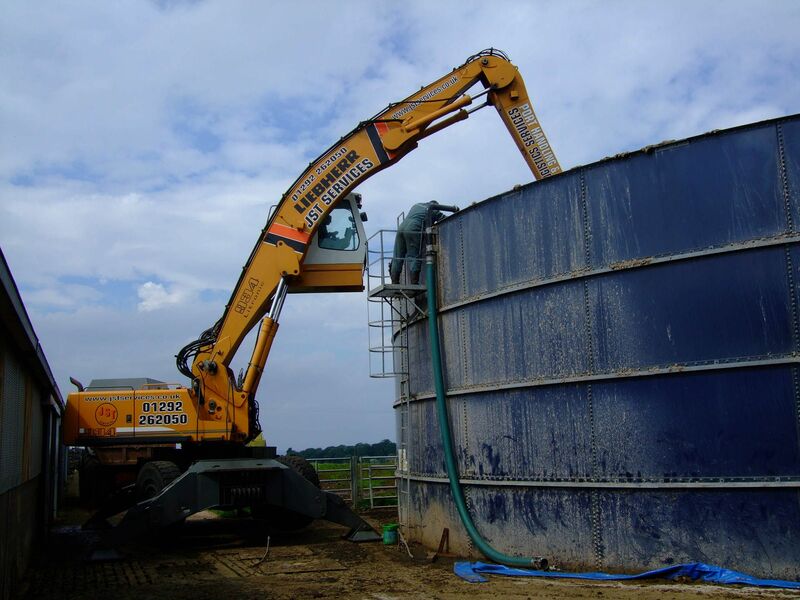 JST Services have found that kinematics and camera systems of our Liebherr handling machines are ideally suited to working in industrial scale tank emptying projects. 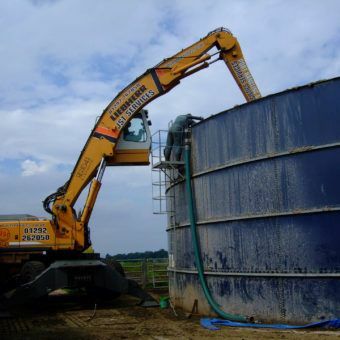 This often removes the need for labour and smaller machines going into holding tanks. 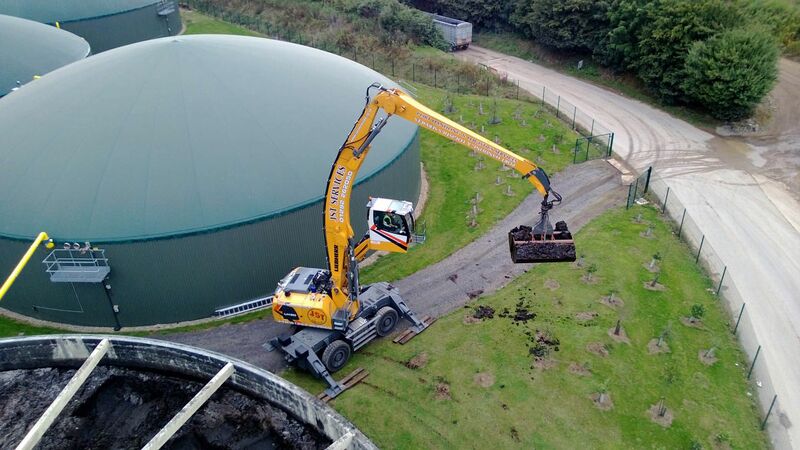 We have diversified into providing this service for number of blue-chip clients across the UK. 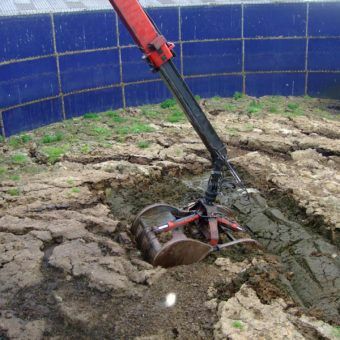 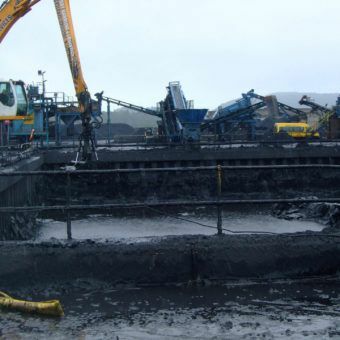 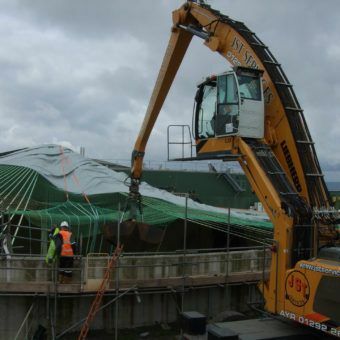 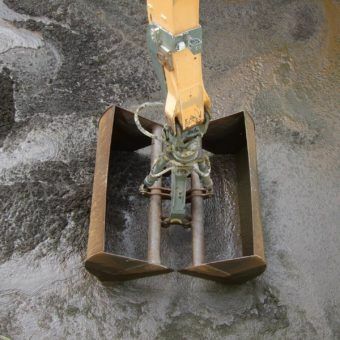 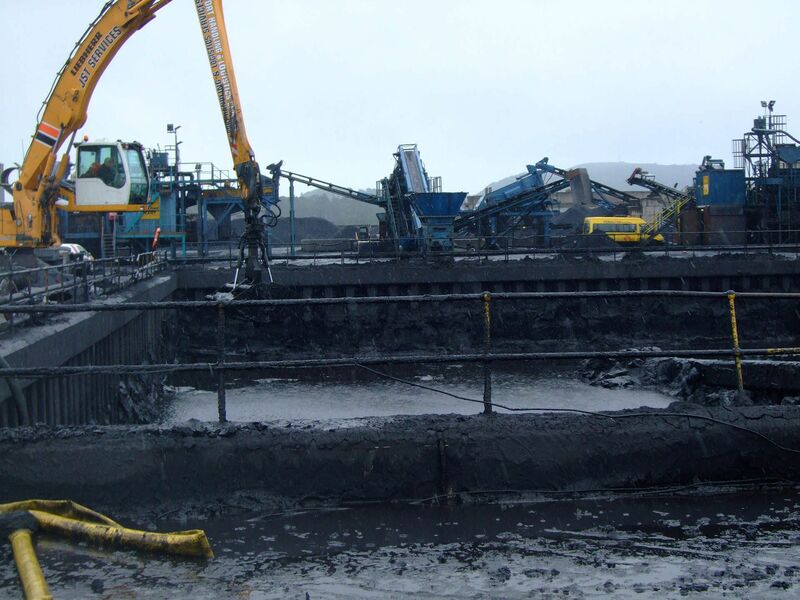 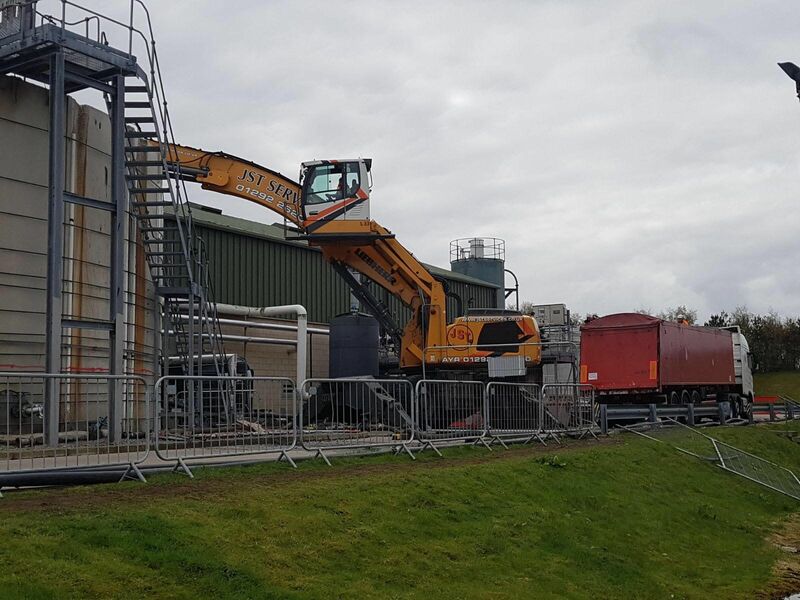 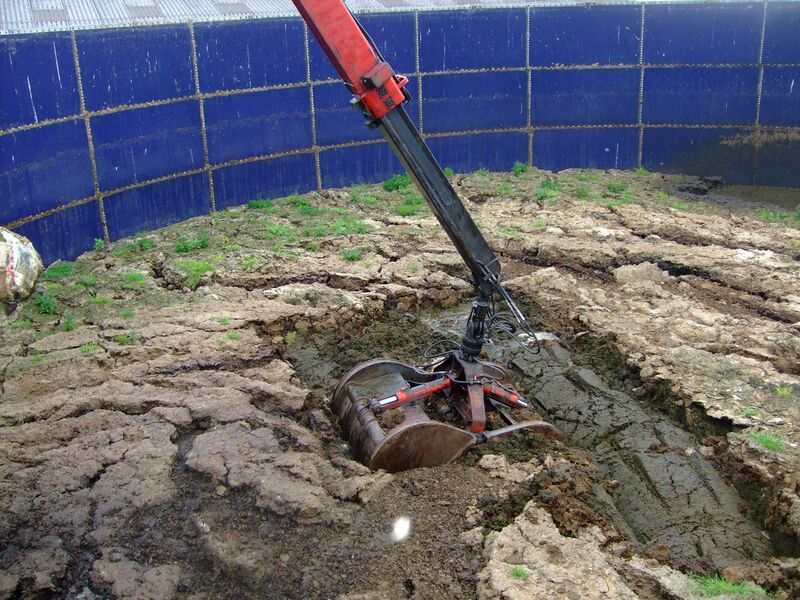 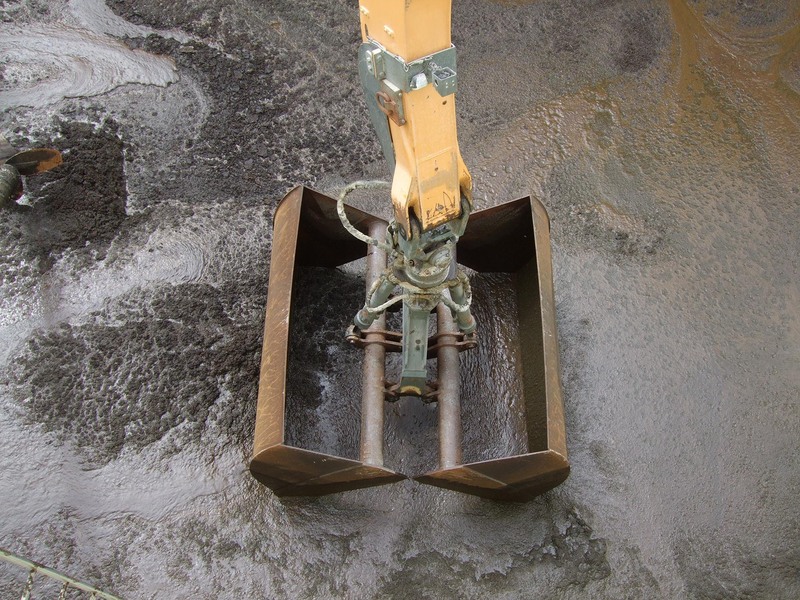 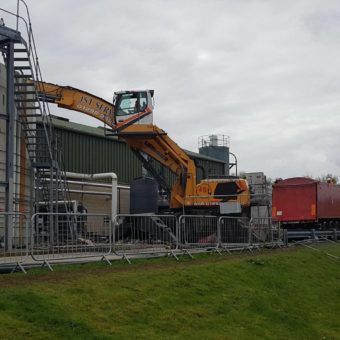 With adequate planning and attachment selection our machines have the ability to recover a wide range of semi liquid and solid waste contained in storage tanks. 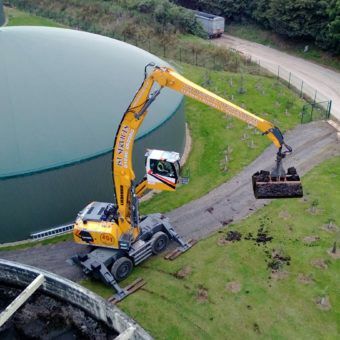 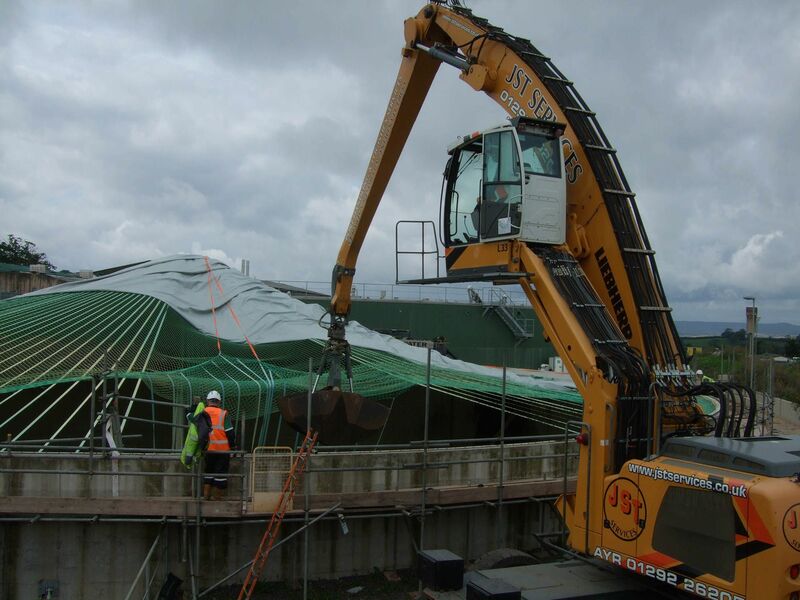 With the latest units from Liebherr and (online /live) camera equipment, our operatives are trained and qualified to provide you with the best service available, allowing us to manage the handling / emptying of your product at a competitive rate.